The first study to compare the performance of different types of green roofs has been completed by The Lady Bird Johnson Wildflower Center at The University of Texas at Austin and suggests that buyers shouldn’t assume these roofs are created equal. Interest in vegetated roofs has increased as water and energy conservation becomes more important to property owners. Yet the study of six different manufacturers’ products found the green roofs varied greatly in capabilities such as how much they cooled down a building’s interior and how much rainwater they captured during downpours. Simmons and collaborators published their findings online Friday on the Web site of the journal Urban Ecosystems. They continue to review real-time temperature and other data from the study. Wildflower Center staff designed the first commercial green roof in Austin at the Escarpment Village Starbuck’s. Simmons, center colleagues and Brian Gardiner from Austech Roof Consultants Inc. simulated green roof conditions by studying the manufacturers’ roofs atop metal insulated boxes. The study of 24 experimental roof tops during fall 2006 and spring 2007 at the center suggested a green roof could reduce a building’s air conditioning bills about 21 percent compared to traditional, tar-based black-top roofs. During one 91-degree day of the study, for example, a black topped box without air conditioning reached 129 degrees inside. Meanwhile, the green roof replicas produced indoor temperatures of 97 to 100 degrees Fahrenheit. “That’s a huge difference to have a 20-or-so degree temperature drop,” Simmons said, noting that green roofs’ temperature-lowering capabilities are also believed to double the lifespan of roofing material. An even greater temperature difference was found on roof surfaces, where black-top roofs reached 154 degrees Fahrenheit on that 91-degree day. By comparison, the soil temperature of the green roofs was between 88 and 100 degrees Fahrenheit. Part of the rooftop differences, Simmons noted, resulted from the native plants used on the green roofs. 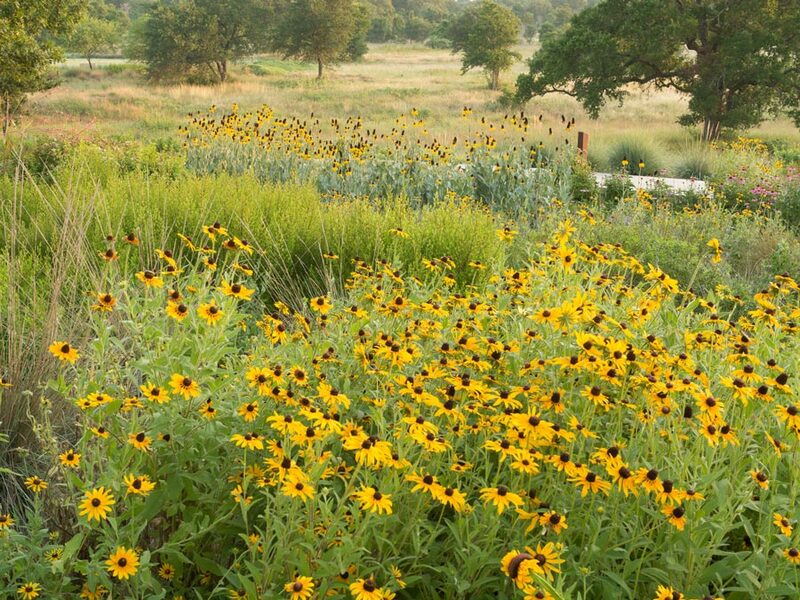 Each had 16 different types of plants native to Texas in a similar arrangement as part of this first-ever study of their use on green roofs. The study didn’t directly measure their cooling impact. However, plants cool surfaces by providing shade, and by shedding water to cool down, like humans do by sweating. States such as Texas that experience flash flooding may benefit even more from the ability of green roofs to capture water, lessening runoff onto streets and storm drains. Yet this feature varied the most among the six manufacturers. The better green roofs retained all of the water during a ½-inch rainfall, and just under half the water when 2 inches of rain fell. Some roofs, however, only retained about a quarter of the water in a light, ½-inch rain and as little as 8 percent during deluges. The presence of native plants likely helped all the green roofs capture water better. In comparison to sedums, a type of succulents traditionally used on most green roofs, native plants can take in more water and release more of it to the atmosphere. The center will study these factors in future green roof research. Regardless of those findings, Simmons doesn’t expect to be giving blanket recommendations about green roof manufacturers because of the variability in their products. That variability is the reason that some of the green roofs in the study that captured water well didn’t have the best plant growth, for example. Note: This project was sponsored by the City of Austin, Roof Consultants Institute Foundation, Austin Energy, TBG Partners, and involved labor donated by local roof contractors. 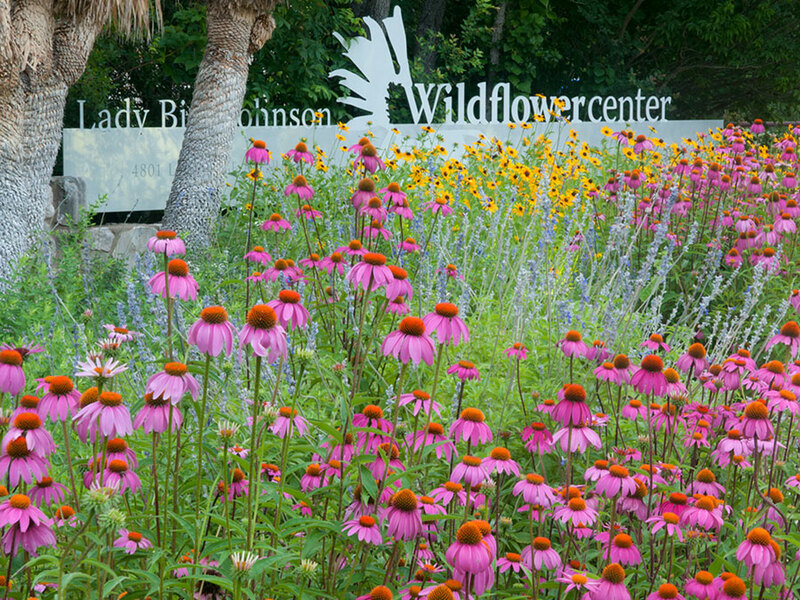 To learn more about the Lady Bird Johnson Wildflower Center, go to: https://www.wildflower.org.